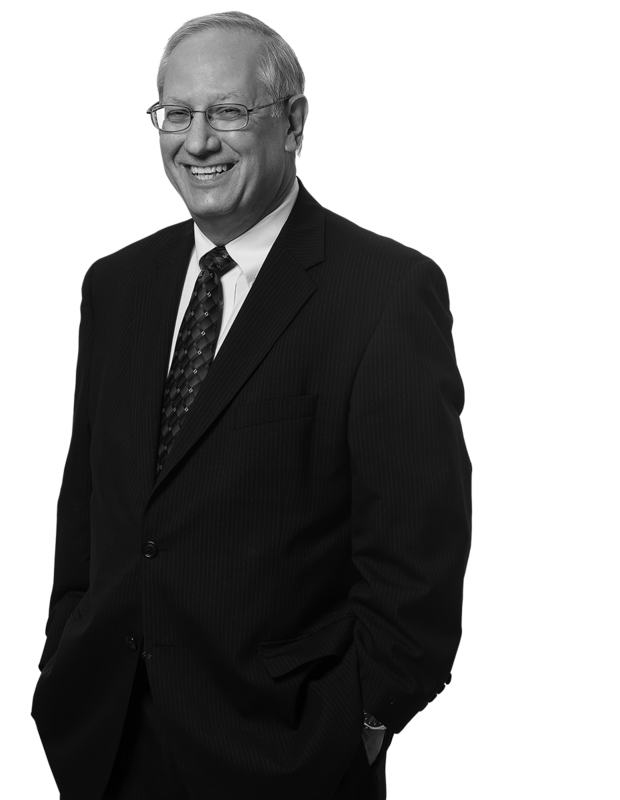 Civil litigator Robert Arcovio has defended insurance companies, insureds and self-insured entities since 1979. He has successfully represented clients in all areas of casualty and contract disputes, including insurance coverage, professional liability suits, products liability litigation and serious personal injury cases, including construction and motor vehicle accidents. Bob defends attorneys against malpractice claims and represents them before the Pennsylvania Disciplinary Board. He was lead counsel in Stephens v. Paris Cleaners, in which the Superior Court and the Supreme Court upheld the trial court’s decision to disregard the plaintiff’s last-minute affidavit identifying the manufacturer in a product liability case, as the affidavit contradicted his prior deposition testimony and was not credible. Bob also was lead counsel in Anslinger v. Sheetz, in which he won a summary judgment after convincing the court to disregard expert opinions about the source of produce contamination as speculative and unsupported by the facts. The Superior Court upheld the judgment, and the Supreme Court declined to hear the case. The Alternative Dispute Resolution Committee of the US District Court for the Western District of Pennsylvania has selected Bob to serve as a court approved neutral Mediator and Early Neutral Evalutor. This distinction involved a comprehensive training program administered by the Court. Obtained summary judgment for the defendant clothing manufacturer in Stephens v. Paris Cleaners, et al., CCP Jefferson County, in a products liability case alleging lack of flame retardant, despite plaintiff’s last-minute affidavit purporting to identify the manufacturer. Affirmed on appeal to PA Superior Court and to Supreme Court. Obtained summary judgment for the additional defendant produce distributer in Anslinger v. Coronet Foods, Inc., et al ., CCP Blair County. The case involved multiple defendants accused of produce contamination allegedly resulting in an outbreak of food-borne illness. The Court rejected expert testimony as speculative and unsupported by the facts. The Superior Court upheld the judgment, and the Supreme Court declined to hear the case. Obtained dismissal prior to discovery, for a public interest law firm and an attorney in Michaels vs. Dr. Gertrude A. Barber Center, Inc., et al ., United States District Court for the Western District of Pennsylvania. Obtained dismissal at the commencement of trial after presenting a successful motion in limine for a defendant attorney in Federline v Shoemaker , CCP, Allegheny County, defeating plaintiff’s claim for a share of a multi-million dollar fee. Obtained a defense verdict for the defendant attorney in the non-jury trial of a fee dispute in Robol v Shoemaker , CCP, Allegheny County. Obtained dismissal for a municipal youth services agency on immunity grounds in Richardson v. Valley Community Services, et. al., CCP Allegheny County. Filed preliminary objections which were sustained, on behalf of an attorney assisting with an estate, in Estate of Westin , CCP, Allegheny County, dismissing plaintiff’s claim for surcharge, and discouraging a threatened malpractice action. Achieved a directed verdict for the defendant after three days of trial in a pedestrian/truck accident case, in Turner v Gaylord Trucking, Inc., CCP Clearfield County. Obtained dismissal for a court-appointed attorney accused of malpractice, in Underwood v Beaver County Children and Youth Services, et al., CCP Beaver County. Received a defense jury verdict for a long term care insurance carrier based on misrepresentations in the application, in CCP Washington County, upheld on appeal. Obtained an order granting a motion to dismiss for the defendant public defender in a claim for violation of civil rights in Neal, US District Court for the Western District of PA. Defeated motion for sanctions filed against a public defender in Crawford Square v Turner, US Bankruptcy Court, Western District of PA. Obtained the dismissal of a public defender of a legal malpractice claim in CCP, Armstrong County. Succeeded in having a motion to dismiss granted in a claim against an arbitrator in Singleton v Pittsburgh Board of Education, et. al., US District Court, Western District of PA. Successfully represented an attorney in a Disciplinary Board proceeding resulting in dismissal of the complaint. Received a defense verdict defending a pharmacy in a case involving a fatality due to an alleged mistaken prescription, CCP, Erie County.